The birthplace of John Brown as it looked in 1896. The house is surrounded by a stone fence. 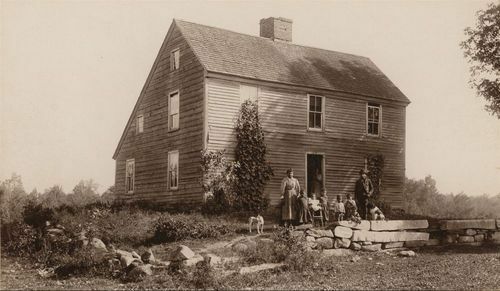 The family of the owner at that time is standing outside the home, which was located in Torrington, Connecticut.